We’re big supporters of Moz and last year decided to get involved as a sponsor of MozCon, their annual marketing conference hosted in Seattle, WA which draws some 1,400 marketers from around the globe. 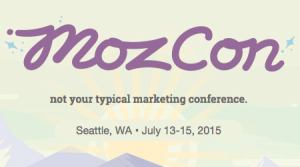 Well, we had a blast so this year when Moz asked us to come back for the 2015 edition of MozCon, we jumped at the chance to get involved again. If you follow Inside or you’ve attended any of our events like CTA Conference or the recent Conversion Road Trip, you likely know that we approach sponsorship pretty differently from many other companies. Instead, we opt to focus on opportunities that add a tonne of value to attendees, that showcase our Landing Page Builder without being “salesy” (‘cuz let’s be honest, nobody likes to be sold) and that are down right fun and delightful. People attend MozCon from all over the world. But seriously. Jennifer Sable Lopez‎, Director of Community at Moz recently posted the map to your right in the buzzing MozCon Facebook group. Check out the live map here (it’s really awesome!). Attendees are coming from as far as Surabaya, Indonesia, Lagos, Nigeria and Tokyo, Japan. We decided to create some custom postcards, packed some mailboxes and bought some stamps and are going to let you – MozCon attendees – write home to your co-workers, friends and family. You write and we’ll take care of the rest. Make sure you come visit us at MozCon to send your postcard back home! 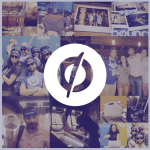 What’s better than Unbounce running our own social contest during MozCon? Unbounce + our besties at Wistia partnering up for one. Last year, we conjured up SpyatMoz – planted spies around the conference and your mission was to find them and tweet clues. This year we want to help facilitate more connections at the conference. Meet someone new at MozCon, snap a selfie with them, tweet that photo @unbounce @wistia #MozCon and you’ll be entered to win a $1000 flight to anywhere in the world! 2nd and 3rd place will get a free ticket to Wistiafest and our Call to Action Conference. We’ll also be printing those selfies off at our space and pinning them up – so come by and grab yours! 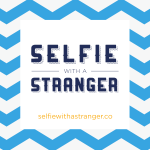 Check out our ‘Selfie with a Stranger’ contest here. At Unbounce, we know how stressful it can be to attend a conference and try to take notes at the same time (because your boss expects proof that you learned something, amirite?). Or you miss the conference altogether and forever wonder what marketing wisdom you might’ve passed on. 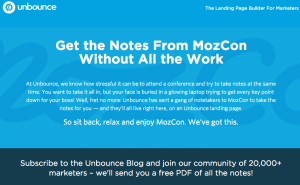 Well you’re in for a treat because we’re sending a gang of notetakers to MozCon to take notes for you. That’s right – we’re going to take notes of the entire 3-day conference and it’ll all be available for free on our notetakers’ landing page. We’re a pretty lively crew and we never turn down an opportunity to meet new people and have some fun. Join us at Rabbit Hole Seattle during the MozCrawl for a most EPIC end to day 1. We’ve dusted off the Skeeball tables for a little tournament action, pulled out the giant jenga, prepped the polaroid photobooth (that you should take selfies in) and made sure there’d be plenty of drinks and good times for all. Get all the details here and see you at the party! We’ve rallied together a group of Unbouncers to road trip from Vancouver, BC to Seattle, WA for the conference: @smgrieser, @sarahailish, @chelseascholz, @cody_campbell, @justinveenema, @duanebrown and @cheryldraper. We can’t wait to meet YOU at #MozCon. Shout out on twitter, stop by the Unbounce space or hang out with us at the Unbounce MozCrawl party!